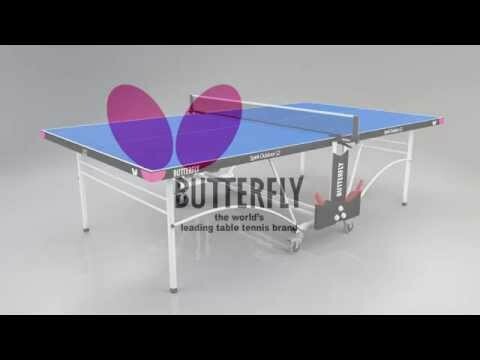 With a stylish and elegant look the Spirit 12 Rollaway with a Butterfly 12mm plywood resin weatherproof top produces a good bounce and a playing performance similar to many quality indoor tables. It is combined with the quickest and easiest system for setting up your table. Included is a full length weatherproof cover, a Butterfly outdoor net and post set, 2 bats and 3 balls, making it an ideal table for use in hotels and for the home. Choice of attractive green or blue playing top with matching ight silver legs and undercarriage.